For the fifth year in a row, Tokoriki Island Resort has been awarded this honour in addition to the top hotel, top service and top hotel for romance. The award winning resort is passionate about creating a relaxing and intimate resort experience where guests can enjoy uninterrupted privacy. 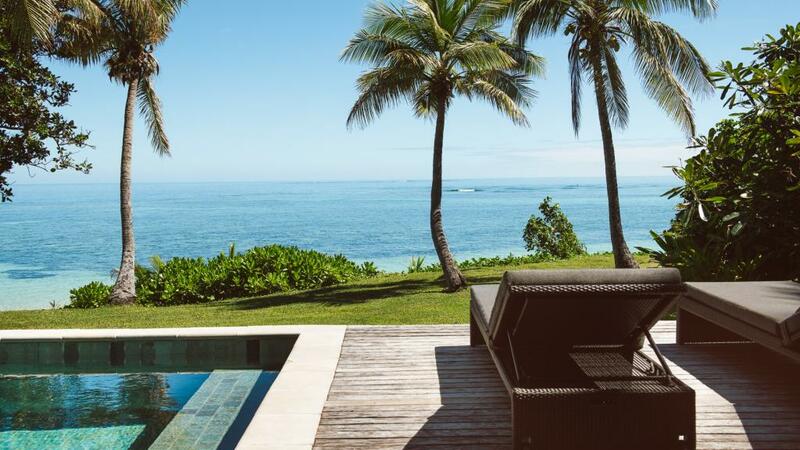 Featuring a variety of luxury villas or bures the resort combines traditional Fijian architecture with modern luxe finishing's and 5 star amenities. With its warm Fijian hospitality and extra attention to detail, Tokoriki Island Resort is the perfect place for a romantic holiday or child free escape. Each villa at Tokoriki comes equipped with its own private outdoor shower, double vanity, in room safe, air conditioning and nightly turn down service for that extra added luxury. The resort also features a fantastic onsite restaurant that serves up a delicious fusion of European, Pacific and Asian influenced menus to enjoy either by the sand or on the oceanfront terrace. Tokoriki offers couples an intimate beach picnic to truly soak up the romantic Fijian ambiance. Travelling via boat, you will be taken to a private beach where you can spend the day snorkelling, swimming and feasting on your gourmet lunch. You can then return to the resort and finish your day at the indulgent onsite day spa and be pampered with a relaxing couple's massage.